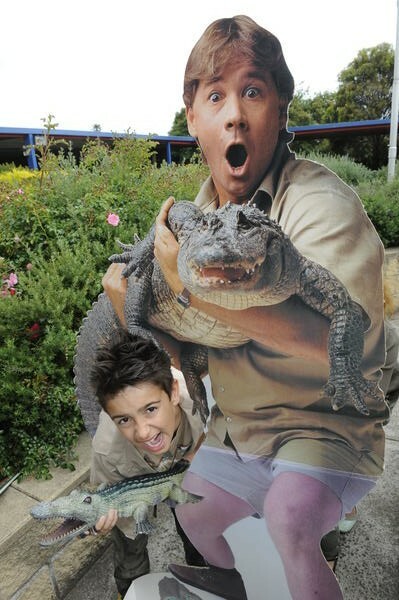 Crikey! A Noble Park North student turned to khaki to make the world a better place. Vincent, 8, and his Silverton Primary schoolmates raised $265 on Khaki Day, Tuesday 15 November. The event paid tribute to the Crocodile Hunter and Australia Zoo founder Steve Irwin who died in September 2006 at age 44. 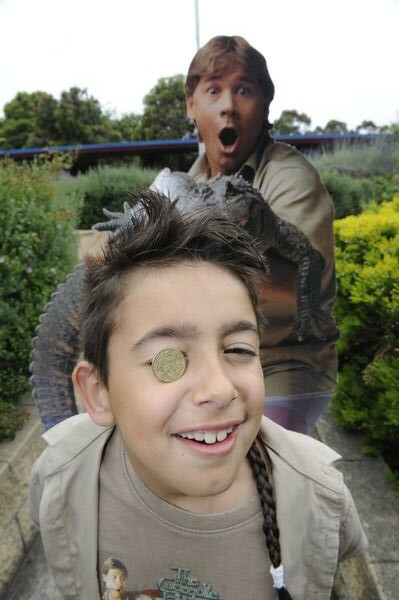 Students donated a gold coin to wear khaki or earth-coloured clothes and posed with a life-sized cardboard Steve Irwin. The funds raised will go to the zoo for wildlife conservation measures. “This makes me feel like I am changing the world to make a better place,” Vincent said. Snapping it up. Vincent sends his support.